K Group has built sales productivity strategies using our proprietary Sales Activity Mapping approach for some of the largest and most successful sales forces in the United States. Have a question? 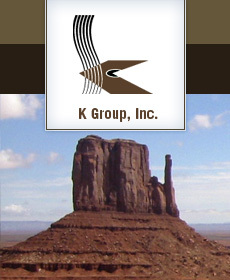 K Group uses sophisticated analytical techniques to identify those sales/sales management behaviors that differentiate between the exceptional sales people/managers and the average to below-average sales people/managers. We work with the executive sales to integrate these findings into each sales person’s ongoing development and training program. Part of the magic of this approach is that we are able to identify non-productive activities and behaviors that prevent sales success. Rather than push sales people into a single profile or sales approach, K Group identifies the major selling profiles or selling “personalities” that are successful in each specific assignment. Finally, K Group uses data base and company information to build productive sales territories that makes the best use of available sales resources and sales staff.